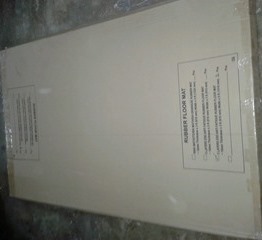 ​Step 1 ) , Issue PO and e-mail to ( sales@gserubber.com ) . 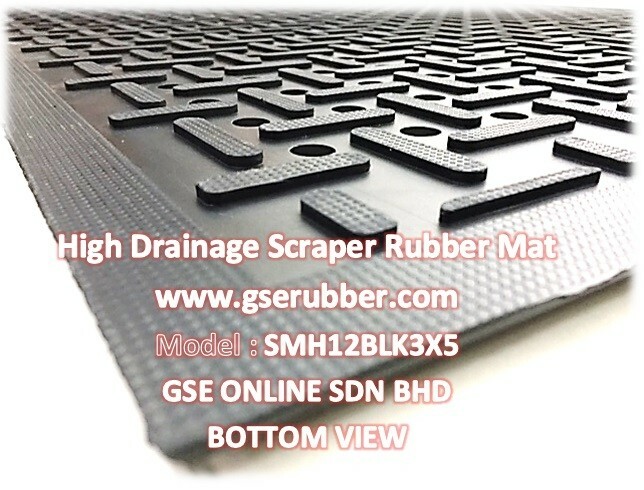 Being drainage mats, these rubber mats are meant to be used outdoors where the presence of moisture is significant. 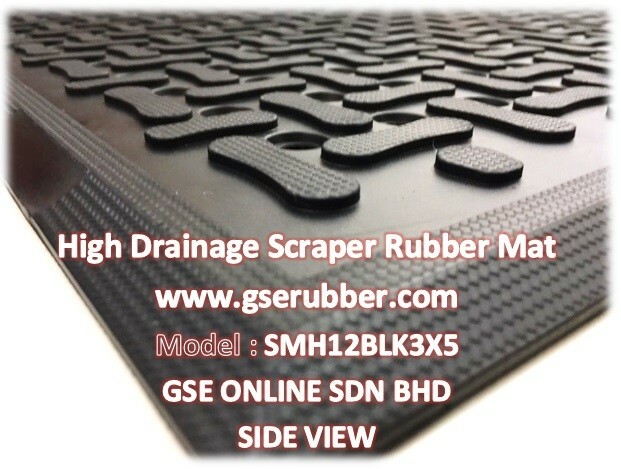 The numerous holes across the surface of these traction mats aid in allowing liquid to pass through the rubber mat . Ideal for use in places like bars, locker rooms, restaurants, spas, warehouses and more . 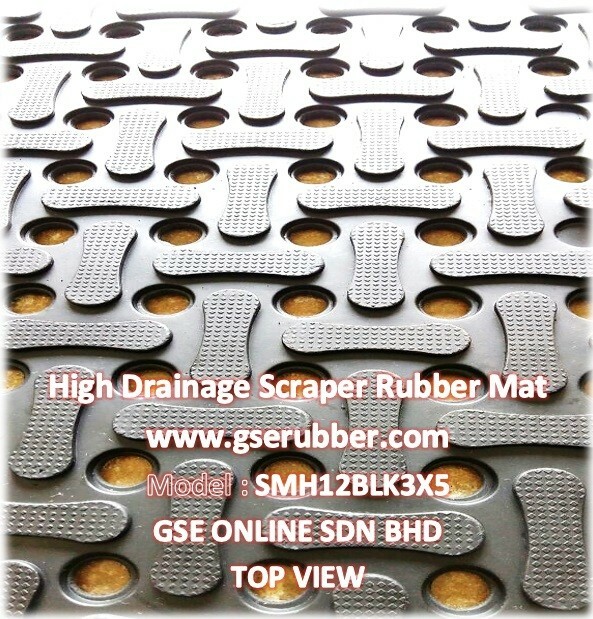 1) Scraper Rubber Mats are durable and heavy duty . 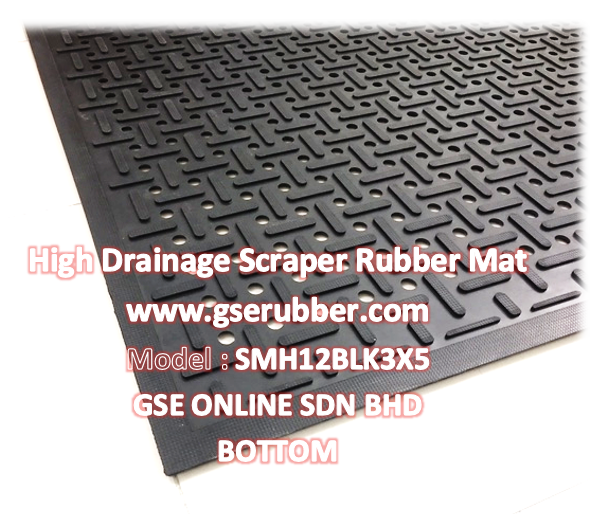 The rubber material and surface texture of this eco-friendly flooring combine to make an excellent safety mat. Rubber comes with a naturally high level of traction, and the slightly raised surface designs aid in gripping the feet standing on top of them. 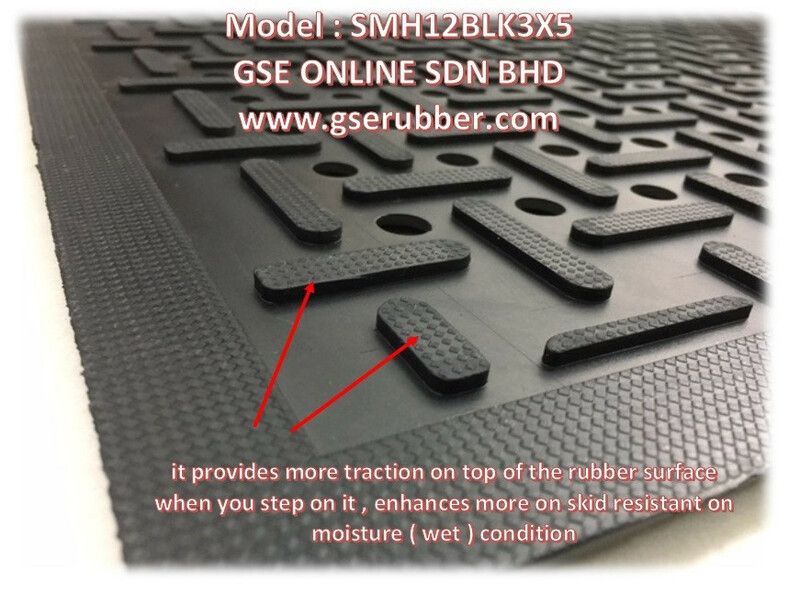 it provides more traction on top of the rubber surface when you step on it , enhances more on skid resistant on moisture ( wet ) condition . 2) High profile surface design ( 12mm Thickness ) . Tapered-beveled edges prevent trips and falls , High profile raised edge will not only collect dirt but discharge liquids and moisture . 3) The surface texture helps scrape any lingering debris off from incoming footwear and it helps provide the foot-traffic with a higher degree of traction. Surface texture aids in scraping off loose debris particles from shoes . 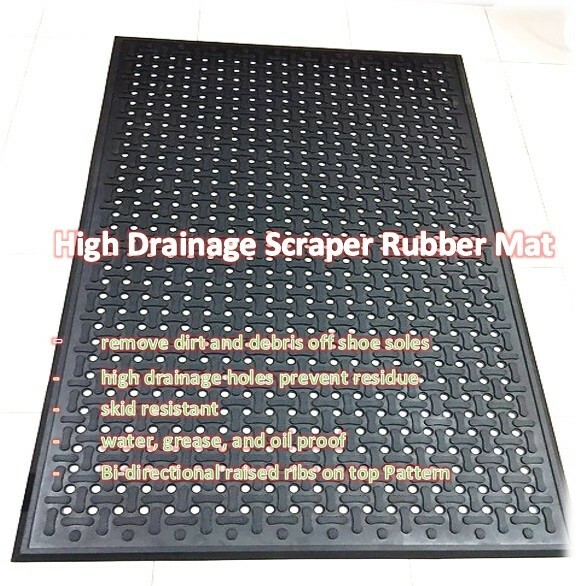 4) Easy to clean by hosing off (This rubber mat is water resistant ) , simply wipe or sweep , common non-caustic cleansers .